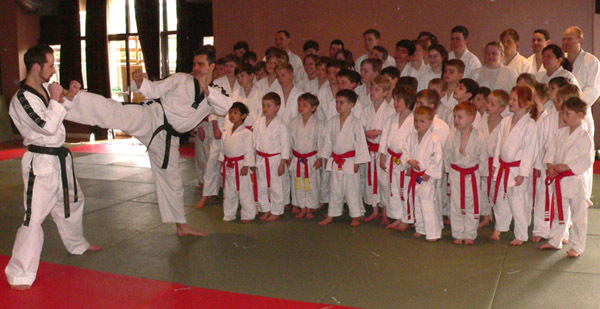 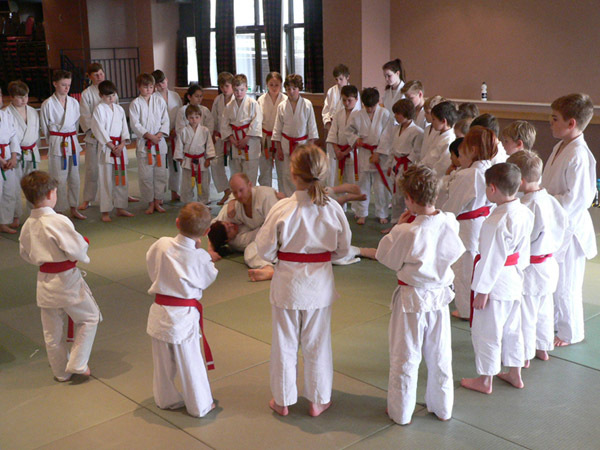 Sensei Ben Cheriton 4th Dan Taekwondo gave juniors and seniors a fun session. 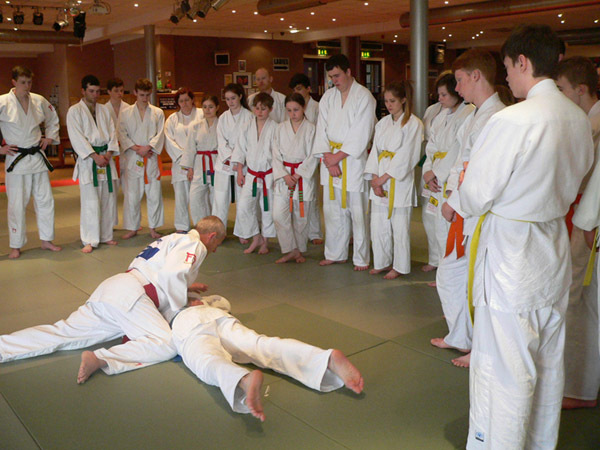 ... and incorporates a judo throw into the jujitsu class. 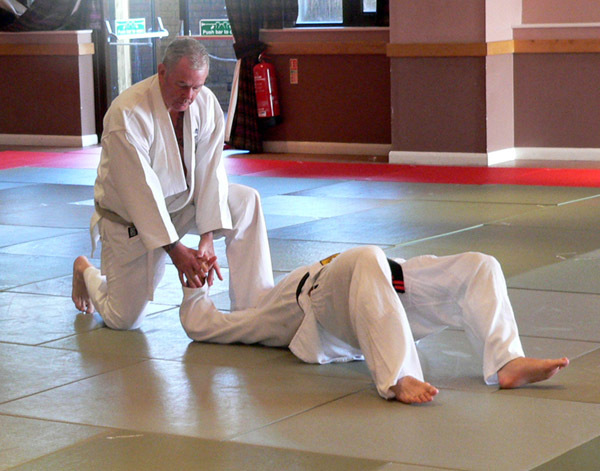 Sensei Steve Clarke 6th Dan passes on his expertise to senior grades. 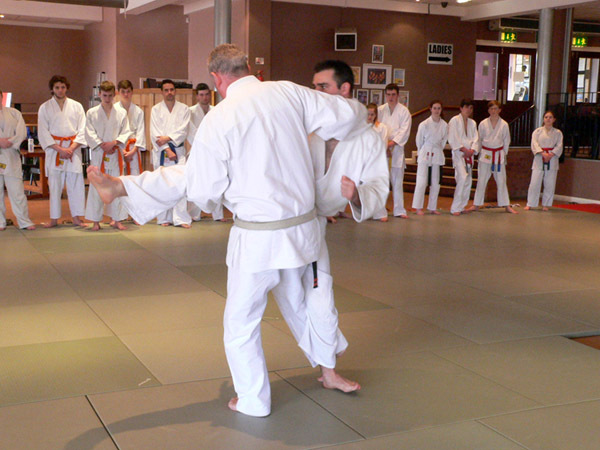 Kohai Tom shows the juniors some escape moves. 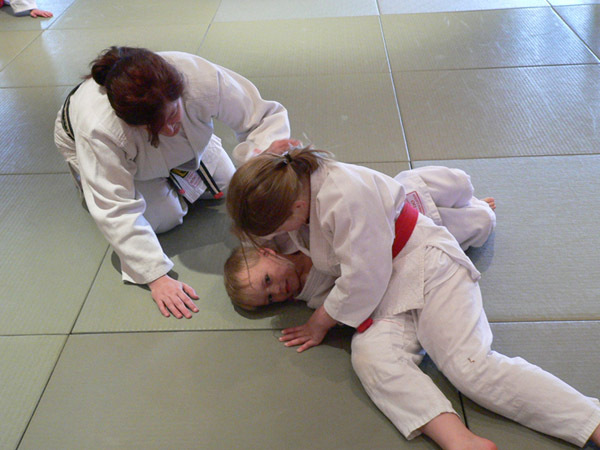 While Kohai Tina helps these two youngsters. 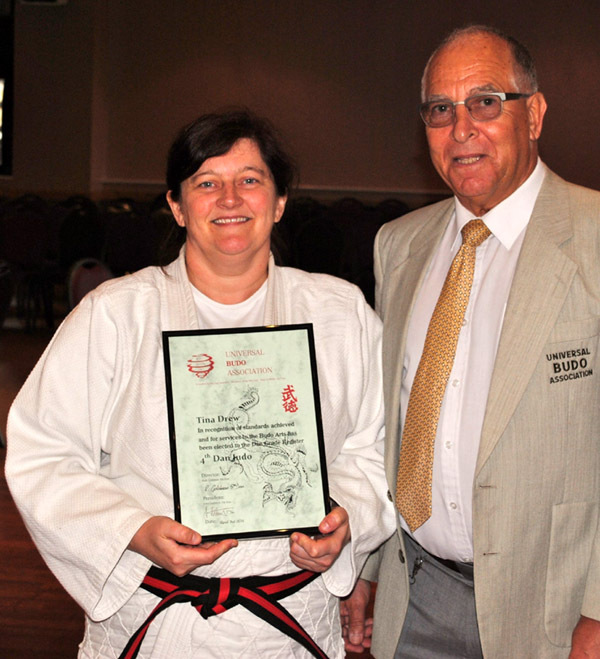 Master Goldman 7th Dan, President of UBA, presents Kohai Tina with her black belt 4th Dan.